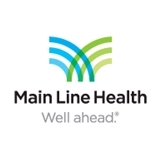 Main Line HealthCare Obstetrics & Gynecology (Wynnewood) - Book Appointment Online! Incredible staff! Super friendly and funny! Awesome doctor. Really down to earth, so easy to talk to about concerns and takes the time to answer all questions.